Many of the youth wrestlers attended a preseason practice led by ZM alum Joey Majerus last Monday. 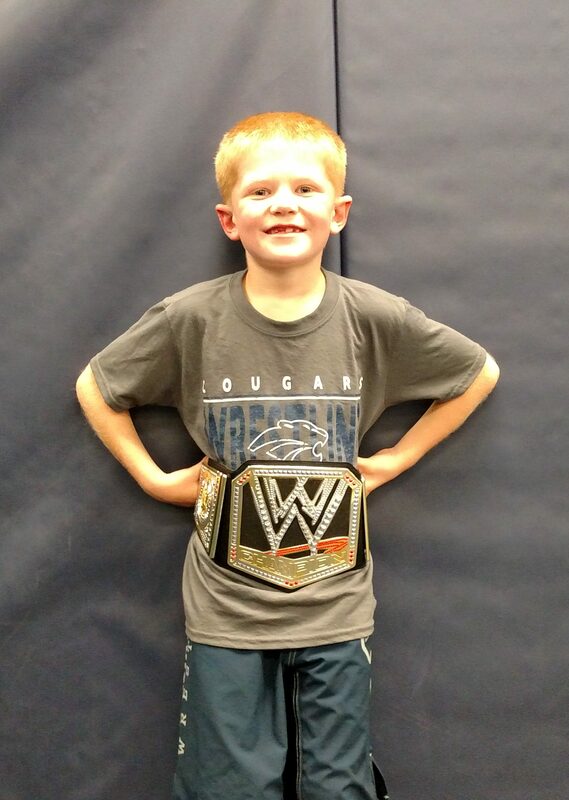 Joey selected Chase Dohrn as our first Wrestler of the Week this season. Chase is in 2nd grade and son of Perry and Carrie. 13 ZM wrestlers participated in the Turkey Trot 5K on Thanksgiving morning. The boys got in a good workout and donated to our local food shelf. Pictured left to right are Brennan Sheda, Hayden Voxland, Michael Majerus, Jacob Bennett, Michael Vath, Spender DeFrang, Jarret Haglund, Tyler Soltau, Jack Haglund, Hayden Stensland, Wilson Nordquist, Kevin Nordquist, and Sam Nordquist. 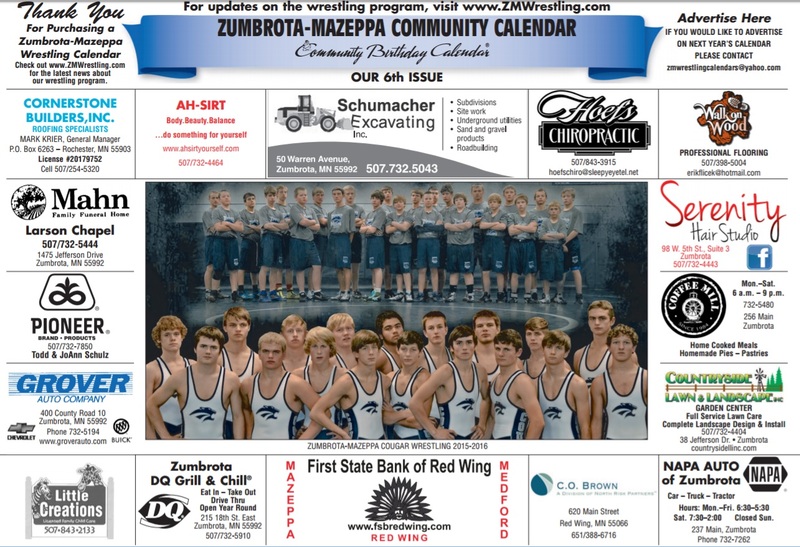 The Zumbrota-Mazeppa High School wrestling team is currently selling a Community Calendar that can be personalized with birthdays and anniversaries. On Saturday, November 19th, wrestlers will head out into the community to gather calendar orders. 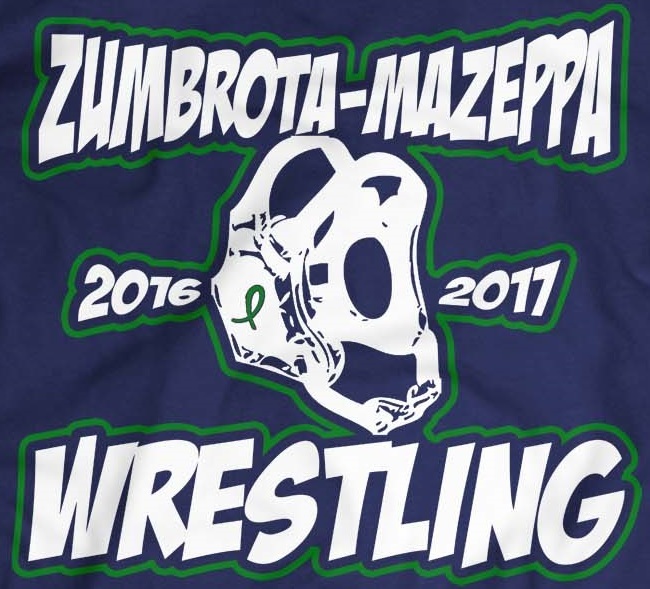 You may also place an order on-line or contact one of your favorite ZM wrestlers by December 1st. Don’t miss out on this great opportunity to purchase a calendar for your family and friends! Thank you for your support! New to wrestling or looking to try it again? We are offering a free practice on Tuesday, November 15th at 6:00 PM in the Mazeppa school wrestling room led by high school coach Link Steffen. This practice provides the opportunity to learn more about the sport without any commitment. See this flyer for more details. Registration is Tuesday, November 15th at 7:00 PM in Mazeppa school large gym. We’ll cover practice schedule, important dates, opportunity to order singlets, and other essential information. You can get a head start and download the registration form and bring it with you on the 15th. Questions? E-mail youthcoordinator@zmwrestling.com. See you soon! Brota Valley Wrestling (our off-season wrestling program) has teamed up with Herberger’s for a great fundraiser! For a donation of $5, you will receive a coupon booklet full of savings for Herberger’s Community Day Event, November 9-12. Brota Valley Wrestling receives 100% of the proceeds… it’s definitely a win-win!!! Our club has some booklets available; they also can easily be purchased online and ship for free. For additional information, click on the link below. Thank you for supporting Brota Valley Wrestling!